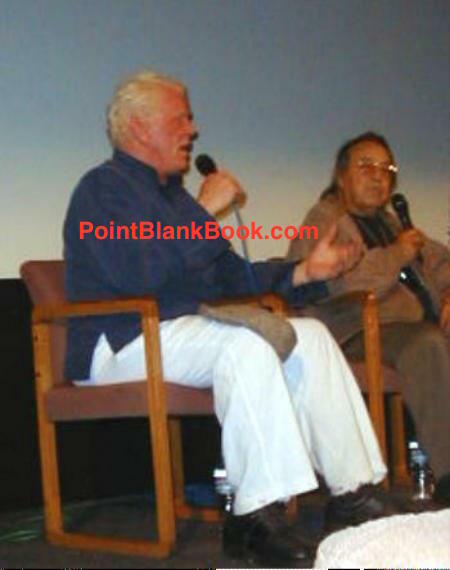 Nick Nolte, a personal favorite actor since I saw Who’ll Stop the Rain back in 1978, was my idea of a perfect follow-up to Lee Marvin Point Blank. Why Nolte? Several reasons, actually. First of all, my publisher had put into the Lee Marvin contract that he would get first look on whatever project I proposed as a follow-up. Market considerations being what they are, many of my favorite subjects were automatically excluded due to the glut of titles already written about them (Steve McQueen, James Cagney, Burt Lancaster, etc.). With that in mind, I zeroed in on Nolte, as there has been very little published on the multi-Academy Award nominee. 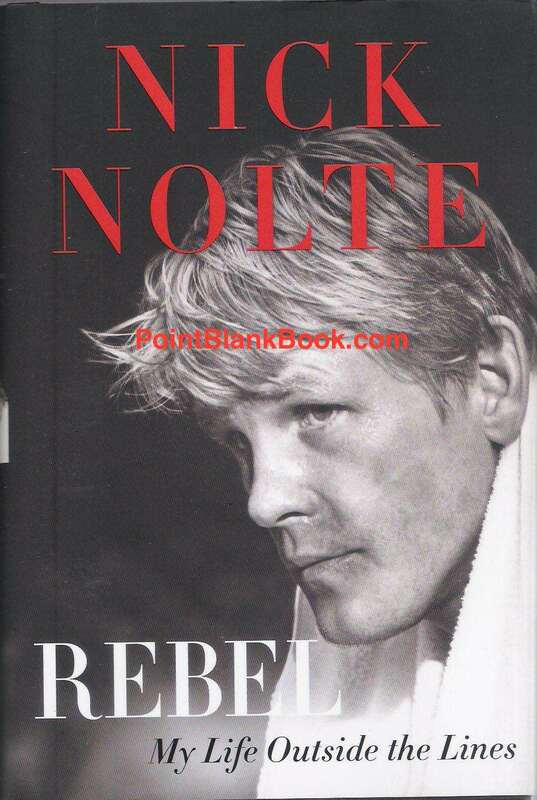 The first and only book written about Nick Nolte came out in 1999. For the longest time the only title was a book called Caught in The Act, written by Nolte’s friend, Mel Weiser. Not exactly a biography as it focused on Nolte’s technique while making the Merchant/Ivory production, Jefferson In Paris (1995) and included a few background anecdotes from earlier in his career. That meant a full, definitive biography had yet to exist. My publisher liked the idea for that reason and then proceeded to ask me what my admiration was all about. Well, I told him I’d been a fan since Who’ll Stop the Rain. Truth is, when Nolte first made a splash with Rich Man, Poor Man and then The Deep, I was anything BUT a fan. The prime-time soap opera left me cold, and seeing The Deep in a drive-in with a bunch of buddies drooling over Jackie Bissett was fun but Nolte looked and acted like a Robert Redford wannabe. Then came Ray Hicks and Who’ll Stop the Rain. It remains to this day one of my favorite films and Nolte gives a truly haunting performance. Following that he gave a string of knockout performances throughout the 1980s in everything from North Dallas Forty (1979), Heart Beat (1980), and Cannery Row (1982), to 48 Hours (1982), Under Fire (1983), Down & Out in Beverly Hills (1986), Weeds (1987) and New York Stories (1989). If you haven’t seen these, you are unnecessarily depriving yourself. Once seen, how can anyone NOT be a fan? Even when the film was so-so, Nolte was always worth watching. Interesting man, too. Nolte (and director Paul Mazursky) answering my question following a screening of Down & Out In Beverly Hills at the Aero Theater in Santa Monica. I met him briefly at a screening in 2015 and after his initial shyness, he proved to be a hilarious and spot-on storyteller. I very much looked forward to writing about the aforementioned films, as well as Prince of Tides (1991), Cape Fear (1991), Affliction (1997) and more. Cursory research proved he was quite a rebellious character in life, as well. If he could be summed up in one word it was done by a friend of mine who saw Nolte behind the wheel at a red light in Hollywood. He said it in one word: Ferocious. Okay, his market value established, the dearth of biographies known and the life and fascinating talent worthy of exploring in place, it looked to be the perfect follow-up to Lee Marvin Point Blank. An actor, by the way, who had he lived, would have been even better than Oscar winner James Coburn as Nolte’s father in Affliction. Just saying. Well, as the publisher and I were about to seal the deal, this showed up on Amazon…. 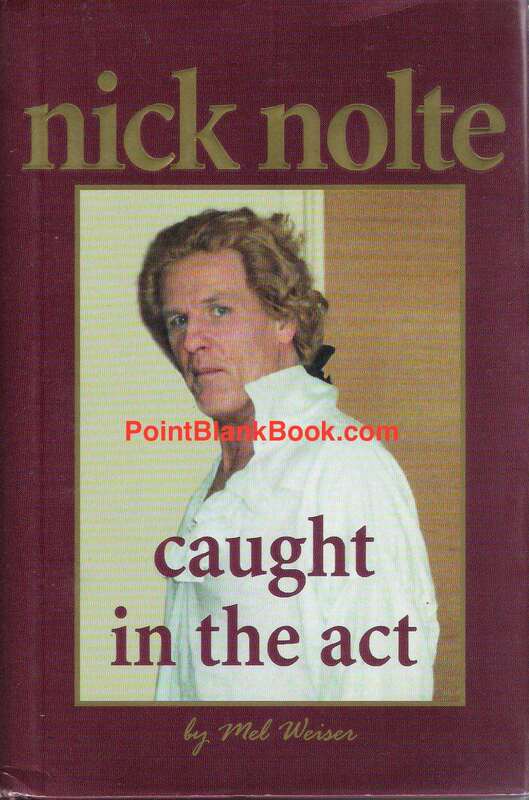 Nick Nolte’s recently published memoir. Don’t get me wrong, I’m glad Nolte did it, even if it took almost two more years to see the light of day. I’ve been reading it and loving it, as well. Unfortunately, it proved to be the death knell on my proposed biography. I’d be lying if I said I wasn’t disappointed. What’s a poor biographer to do? I went back to the drawing board and came up with what I thought to be a decent alternative. No, not Charles Bronson, as that’s a story for another blog. What I came up with I thought was rather ingenious. What was it, you ask? Heh, heh. Stay tuned….. This entry was posted in Blog and tagged Jefferson in Paris, Lee Marvin Point Blank, Mel Weiser, Nick Nolte, Who'll Stop the Rain by Dwayne Epstein. Bookmark the permalink.